I’m getting ready for my biggest refashion yet! This beautiful bride, Christin, now has an amazing 8-year-old daughter, Allyson, and I’ll be transforming Christin’s wedding gown into Allyson’s First Communion dress! Allyson chose Butterick 3350 with sleeves, scalloped neckline, and straight hem. I’ll admit I’m a tiny bit nervous about working with and on two such important dresses, but I’m excited about it, too! And I have a cheerleader! 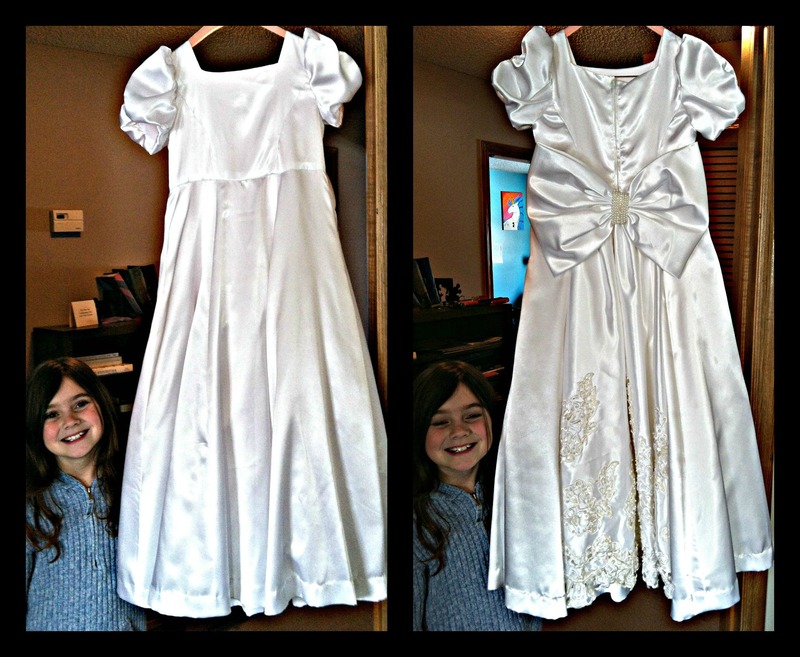 My dear friend Faye transformed her daughter-in-law’s wedding dress into the stunning First Communion dress below for her adorable granddaughter, and she’s only a phone call away if I need advice and encouragement. That’s the sweetest thing to say . . . and I believe you! Thank you, Mtetar! Thank you, Julie! I’m really honored to do it. Thank you for your encouragement! What a fabulous idea!!! Your creativity is amazing. What a huge project. I’m looking forward to seeing the results. So inspiring. What lovely idea! I am so impressed that you are able to make the first cut. And all the cuts that follow. If anyone can do this, it would be you! What a fabulous project! It will be fun to see the reveal! Wow, that is such an honour! Good luck with this project, I look forward to the result! I provided a first communion dress sewing package for a school auction one year. It was one of the most rewarding projects I ever worked on. I was just thinking about it yesterday and it was years ago now. I know you’ll have fun and it will be turn out perfectly. What a wonderful gift to give for this very special occasion. I LOVE that story! Thank you, Kerri! And I may be contacting you for advice if you don’t mind! I’d be happy to advise, although I’m sure you’ll sail through this project with ease. Let me see what I can do about that. What a fantastic project Katherine. Looking forward to the reveal. You’ll do an awesome job!! What a wonderful project, I am sure that you will make an amazing First Communion dress! I’m sure it will work out really well. Would be lovely to see a few photos of how you do it. Have fun! What a lovely idea to get two such special occasions from one dress. I look forward to seeing the end result. I can’t wait to see the transformation. I think this is the best use for a wedding dress!! How wonderful, two little girls who will never forget the gift from their mother! Can’t wait for the BIG reveal! I’m on pins & needles! What a great idea, and a great way to create new memories! Can’t wait to see it! Q- Looking forward to seeing the transformation! I know it will be absolutely fabulous! You can do it! Katherine! can’t wait to see the big reveal! 🙂 Good luck but I’m sure it will look great!!! What an amazing project! I can’t wait to see the new little dress! O’ I can not wait to see the transformation!!!!! I have been wanting to have my wedding dress turned into something else…or many something else’s but just don’t know what I want. Thank you, Laura! I know I’ll have lots of the fabric left over, so I’m going to research to see what others have made. I’ll send you any ideas I find! I am leading the Australian chapter of your cheer squard. I have no doubt your imagination is already in full force…It will be gorgeous! Thank you, Doreen! (But I wish you lived closer, too!) 🙂 Hugs back! Katherine, it is going to be amazing! Can’t wait ’til April. What a wonderful idea to transform the wedding gown into a first communion dress. You’re so creative. I look forward to seeing it. Congratulations little miss Allyson! You will rock it Katherine, I have no doubt. 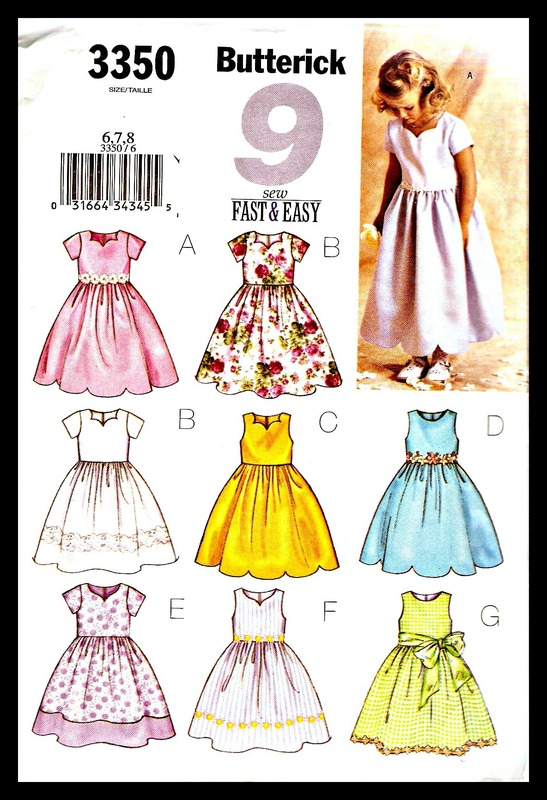 I wish that Butterick Pattern came in big girl sizes….it’s just to adorable. Can’t wait to see it all come together. Good luck Katherine, I’d be terrified cutting into someone’s wedding dress but I’m sure what you make will be wonderful! WOW! What a wonderful way to carry on a family spirit! My wedding dress is still stuffed away in a box at the back of my closet. My children have never seen it, and they are well past first communion days. It doesn’t look like my daughter will marry any time soon, and the fashion is so old–not a “real” wedding dress at all, but something in a muslin fabric, that I’m afraid it was a bit of a waste. 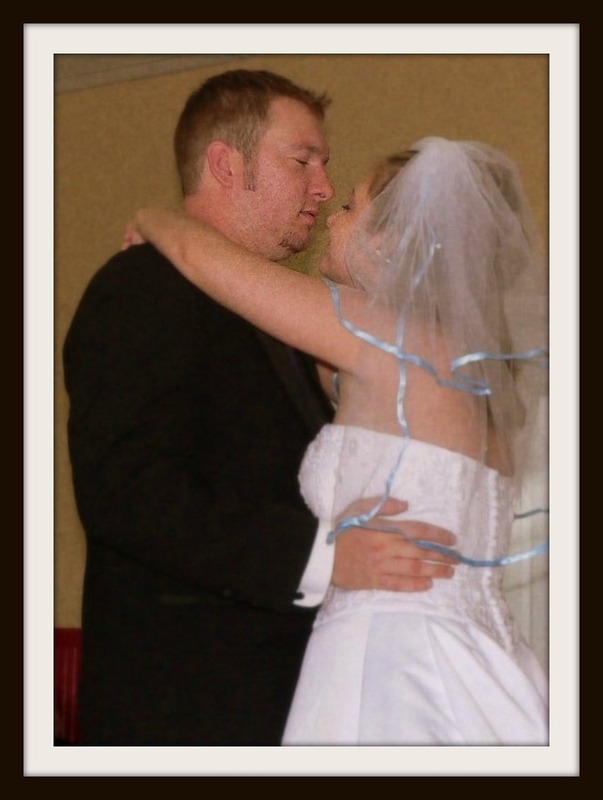 Even our wedding photographer was so drunk that we have no pictures of me in the dress! You’re amazing, and I’ll look forward to seeing your progress and results. Oooohhh . . . I’d love to see it if you’re ever inspired to get it out and take a photo! Please email me if you do! Good luck. What a wonderful memory that dress will be for mother and daughter! Have you seen Something Borrowed, Something New on TLC? A bride brings in a family dress (usually mom or grandma’s) and a designer transforms it into something more modern. The bride then has to choose between that dress or a brand-new dress. I’m so hooked. My daughter asked me last night if I could do that with my dress for her, which absolutely terrifies me! I’ll be watching and rooting for you! What a great way to use a wedding dress. Refashioning at it’s finest! I have to admit, I’d be a little nervous, too, but you’ll work wonders and I can’t wait to see the final dress! I am sure you will do an amzing job! I can’t wait to see the finished product, how amazing is this going to be !! You are inspiring!! It will be beautiful 🙂 Cannot wait to see it! Beautiful dress, and how meaningful! What an awesome thing you are doing. Good luck with it. I can’t wait to see the finished dress. wow that’s lovely to hear … hand sticthed details … can’t wait to see !